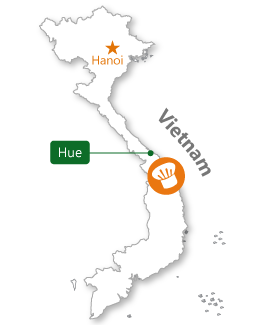 How long does a Hue cooking class last ? 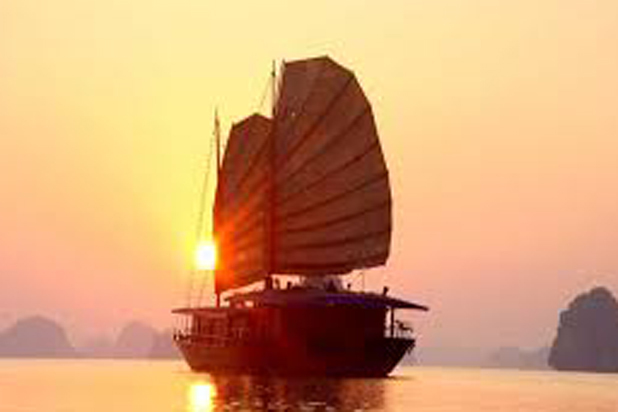 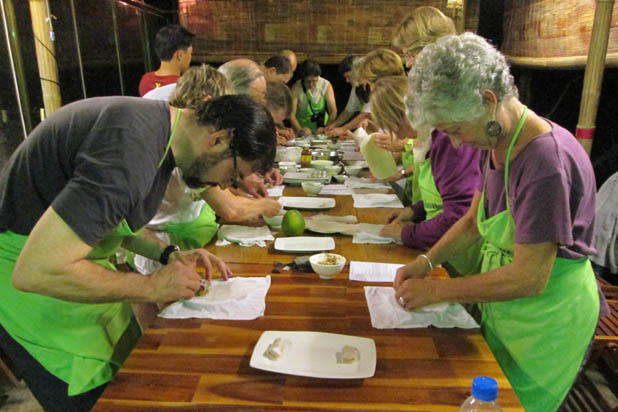 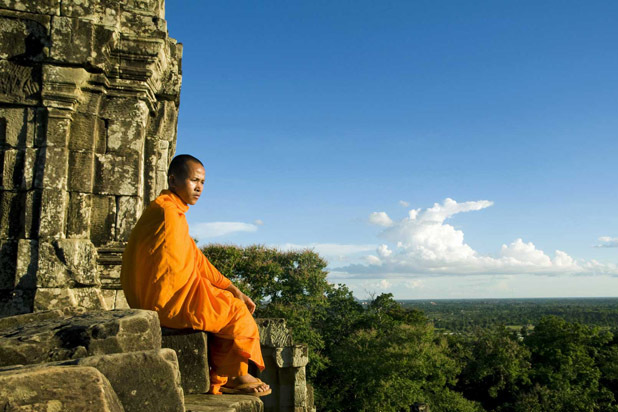 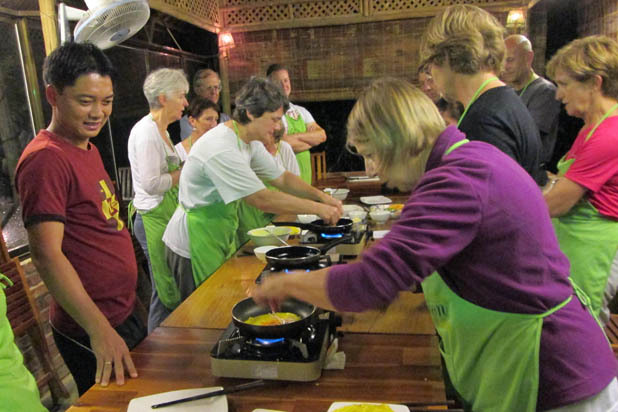 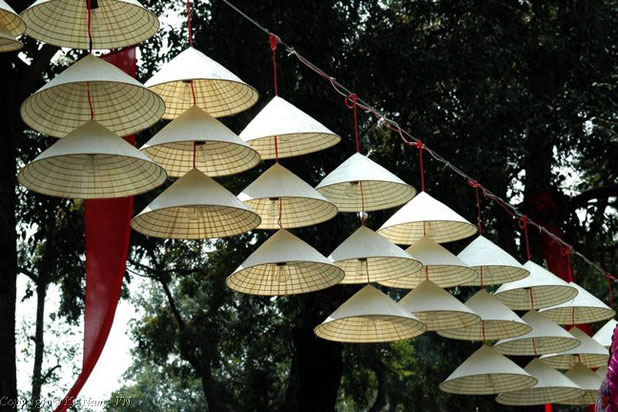 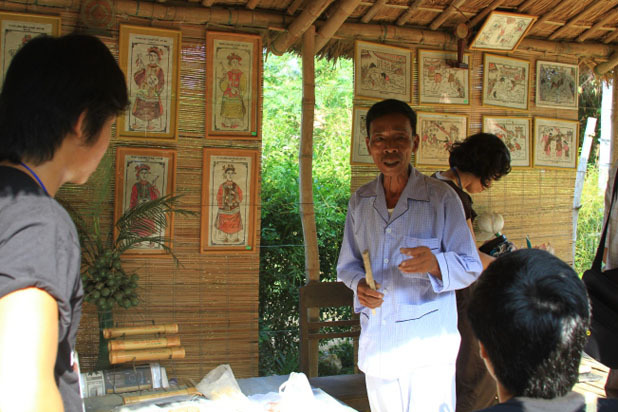 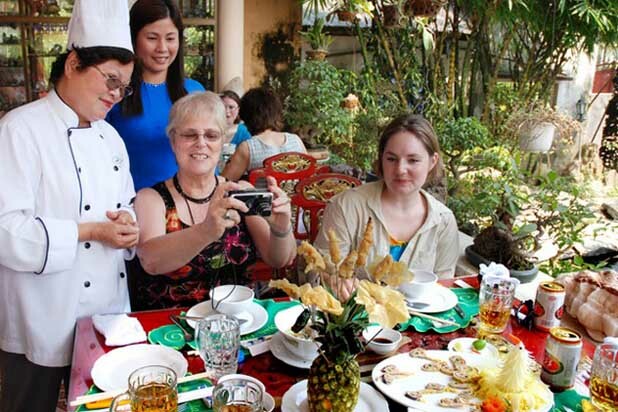 It is a great opportunity to learn about Hue traditional culinary customs and folk cuisine. 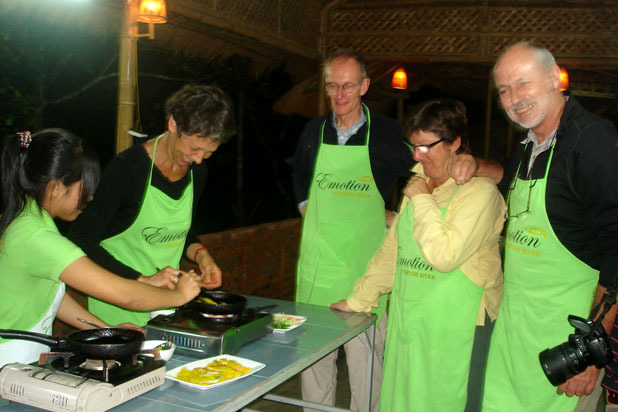 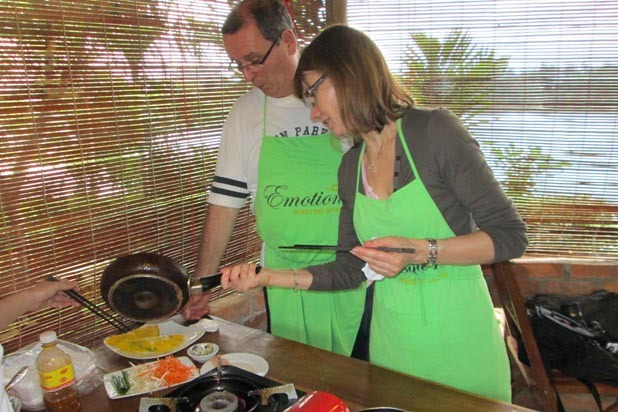 The cooking class lasts about 2 hours which includes a brief introduction, demonstration by the talented chefs and a taste of your own creation. 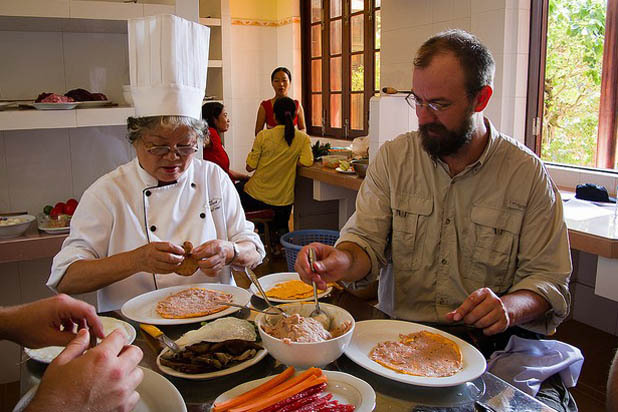 Take a cooking class to unlock the fascinating appeal of Hue food in Vietnam. 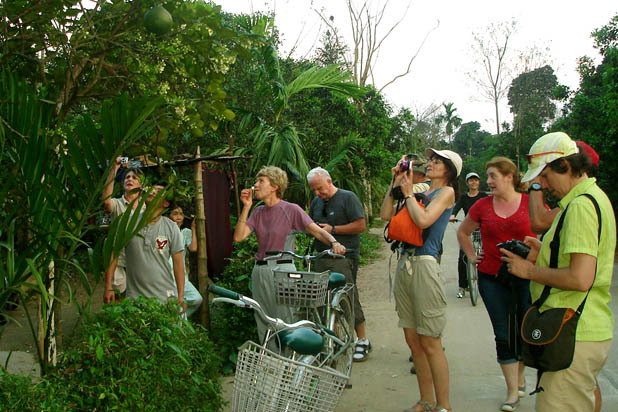 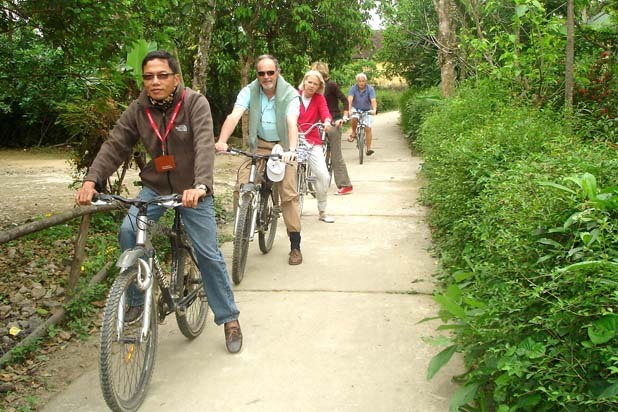 A lot of fun and joy, plus picturesque setting of Thuy Bieu Village and Perfume River, this class is a nice and relaxing way to discover Hue.